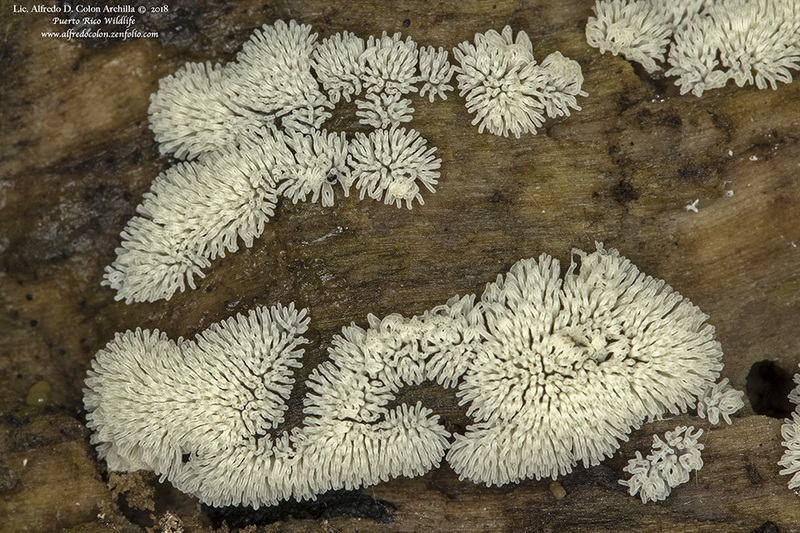 Phyllosticta minima is a common and widespread fungus. It occurs in eastern North America and west to the Great Plains. It causes a disease known as Purple Bordered Leaf Spot on maples. It infects mostly Amur, Japanese, red, and silver maple, but also mountain and sugar maple, and in other areas, Tartarian and sycamore maple. 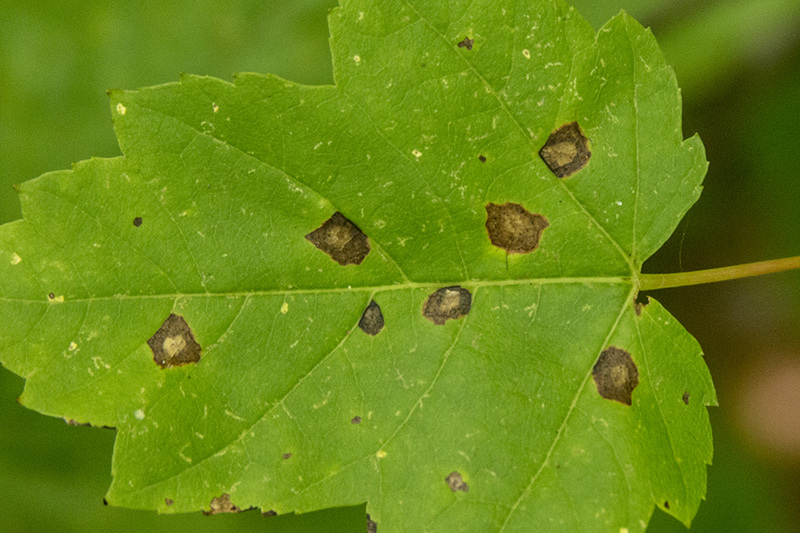 The infected leaf develops small, round, tan spots with purple or brown margins. Tiny, black, pimple-like fruiting bodies form in each spot. The dead tissue in the middle of the spot sometimes breaks away, leaving a small hole. Infections are most common in wet years and on the bottom third of the tree. Some infected leaves may eventually turn brown and drop off the tree, but most trees are able to withstand the infection. Control involves removing leaves with spots from the tree, and raking up and removing fallen leaves. That prevents further infections in the current growing season, and reduces the number of infected leaves that will overwinter. This entry was posted in Fungi and tagged Phyllosticta minima, Purple Bordered Leaf Spot on March 5, 2019 by John Valo. Cylindroiulus caeruleocinctus is a large millipede native to western and northern Europe, Scandinavia, and the United Kingdom. Human activities have greatly contributed to the dispersal of this species. Its range continues to expand east and southeast in Europe. 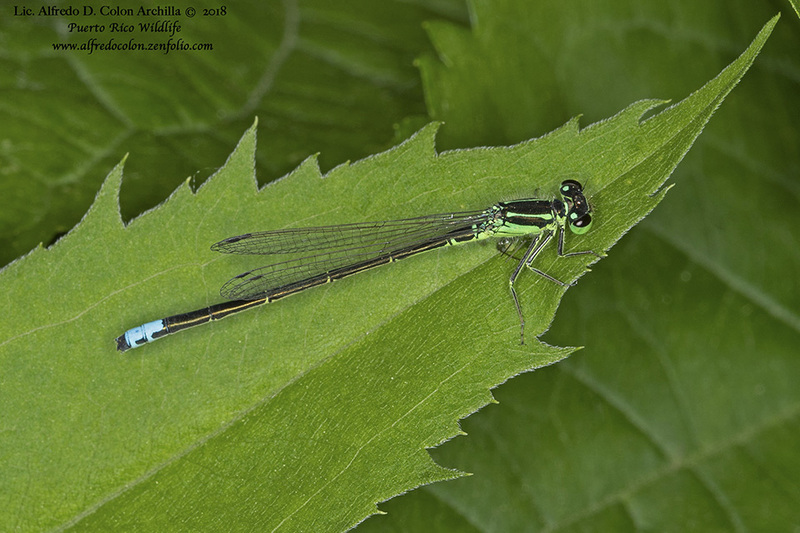 It was recently found for the first time in Hungary. It was introduced into North America and now occurs across northern United States and southern Canada. 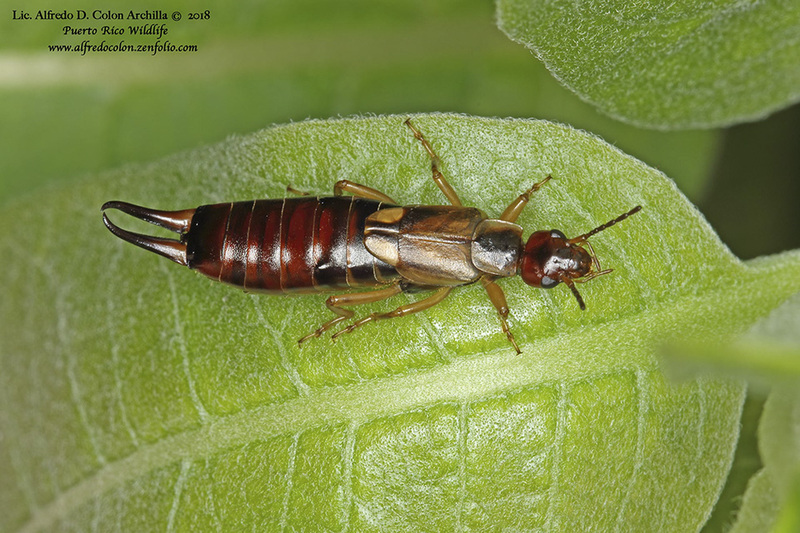 Adults are worm-like, and cylindrical. They have more than 32 body segments (rings). Each ring is brownish-black with bronze-colored edges. This species is distinguished from similar millipedes by its large size and by the lack of a pointed projection on the last body segment. 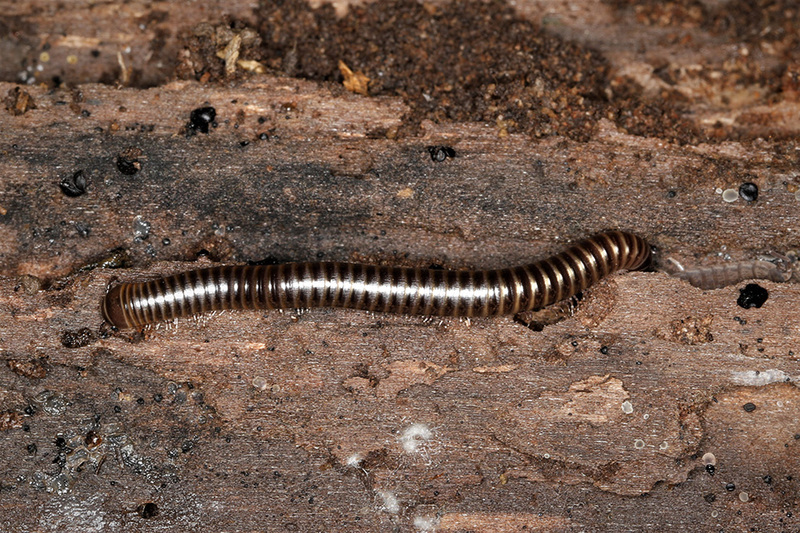 This entry was posted in Centipedes and Millipedes and tagged Cylindroiulus caeruleocinctus, millipede on January 31, 2019 by John Valo. 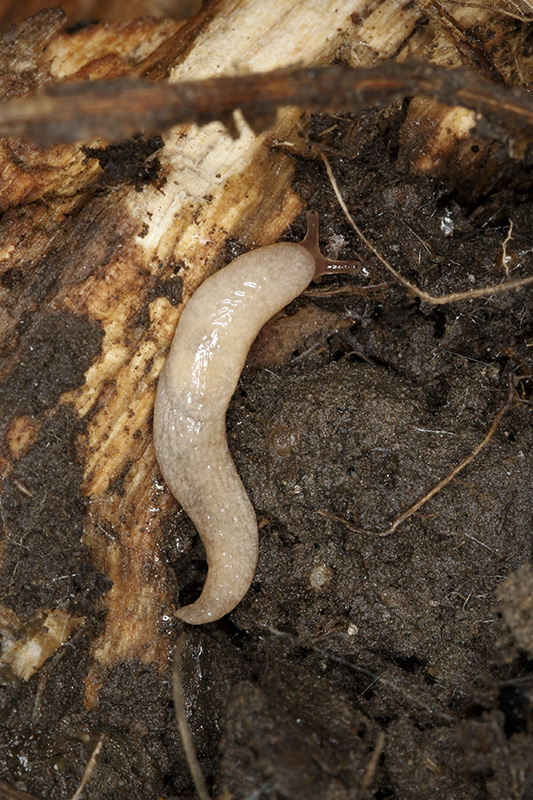 Orange-banded arion (Arion fasciatus) is a common, exotic, land slug. It is native to northern Europe and was introduced into North America during the colonial era. It has slowly spread from New England north to Quebec, south to North Carolina, and west to Minnesota. It is listed as invasive in Wisconsin, but not in Minnesota and not nationally. It is found in ground litter and on herbaceous plants in forests, wet meadows adjacent to streams, and open and cultivated areas, including old fields and gardens. Orange-banded arion is 1¼″ to 2″ long and slender when extended, short and bell-shaped when contracted. It is grayish to yellowish-brown and is covered with rows of pale bumps, giving it a granular appearance. 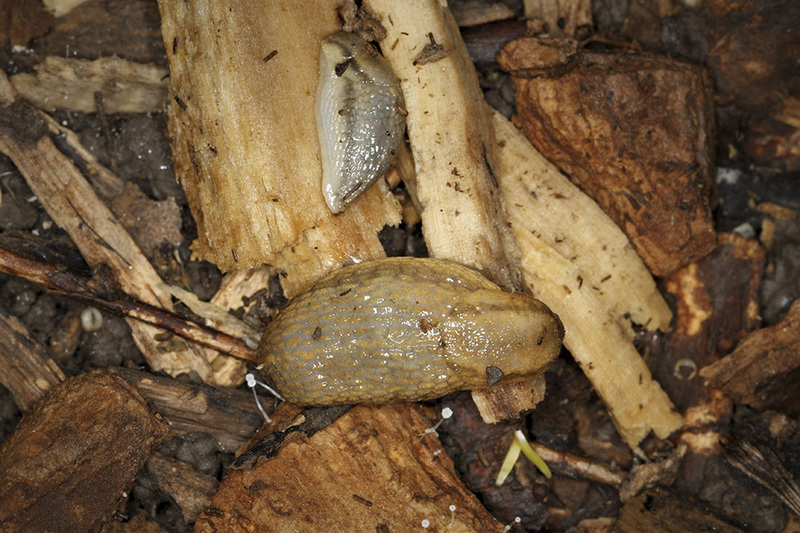 There are two lateral, dark, blurry, longitudinal stripes. The area just below each stripe is yellowish, and the area below that is whitish. The head and tentacles are black. 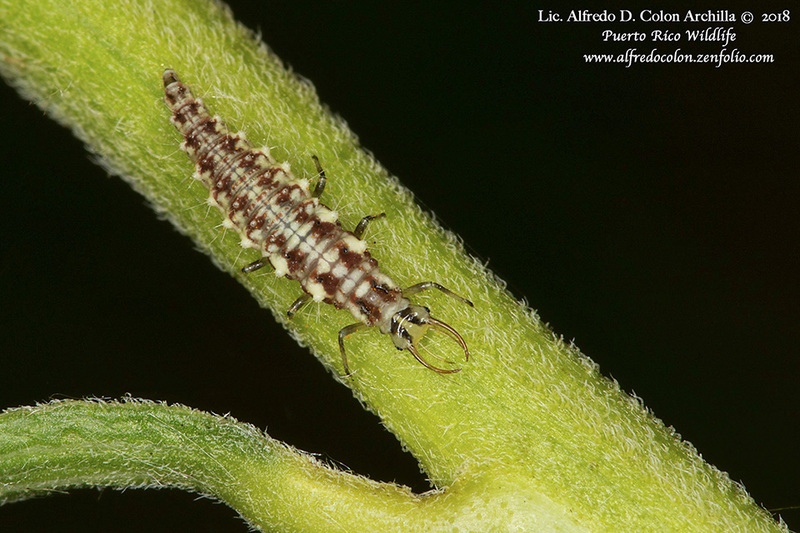 This entry was posted in Gastropods and tagged Arion fasciatus, orange-banded arion on January 10, 2019 by John Valo. Gilled Polypore (Lenzites betulina) looks very much like a Turkey Tail but the pore surface on the underside has gills. It is widespread across Europe, Asia, and North and South America. In the United States it is very common from the East Coast to the Great Lakes states, south to Texas, and on the West Coast. It is less common in Minnesota where it is at the western edge of its range. It is found usually in overlapping rows or columns on logs and stumps of a wide variety of hardwoods, especially oak and willow. The name Gilled Polypore sounds like an oxymoron but accurately describes this mushroom. The fruiting body is a small, fan-shaped to nearly round, shelf-like bracket. The upper surface is concentrically zoned with varying textures and and colors, and is densely hairy. The gills are white when young but darken as they age. The flesh is thin, tough, and inedible. 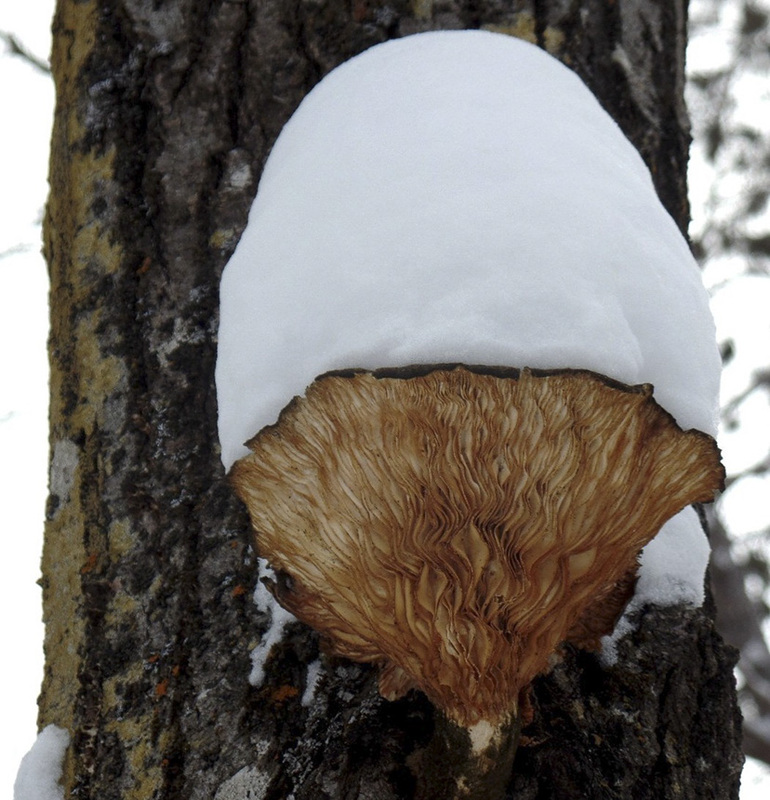 This entry was posted in Fungi and tagged Gilled Polypore, Lenzites betulina on January 4, 2019 by John Valo. Tree Lungwort (Lobaria pulmonaria) is common in the northeast and north-central regions on Minnesota. 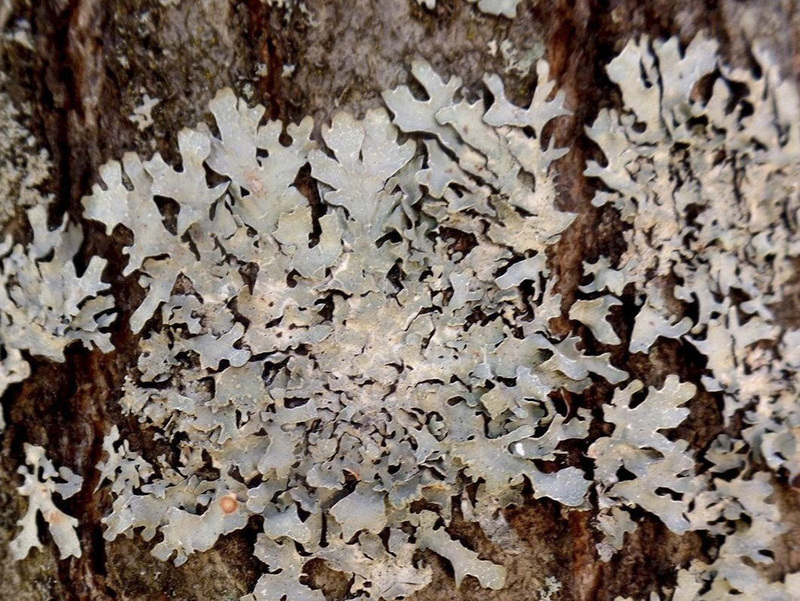 It is found on trees, mossy rocks, and wood in mature coniferous and deciduous forests. It is sensitive to atmospheric pollution and is considered a good indicator of a rich, healthy, unpolluted forest. Tree Lungwort is leaf-like and is divided into large lobes. The lobes are often attached at just one end and hang loosely. They are pale brown to olive-brown and papery when dry, bright green and leathery when wet or moist. The upper surface has a conspicuous network of ridges and depressions. Tree Lungwort is a favorite food source for moose in northeast United States. It was once thought by herbalists to be a remedy for tuberculosis because it resembles lung tissue. This entry was posted in Fungi and tagged Lobaria pulmonaria, Tree Lungwort on December 29, 2018 by John Valo.